"GET off the f***ing road," one yells at the top of their lungs. "Go pay your bloody rego," says another. "Get back on the footpath where you belong," screams a third. Welcome to everyday life for Queensland cyclists. As well as the abuse thrown at her, Sue Donelly has had to cope with actual objects being hurled at her too. She said there have been times when she has been so scared she's almost crashed. 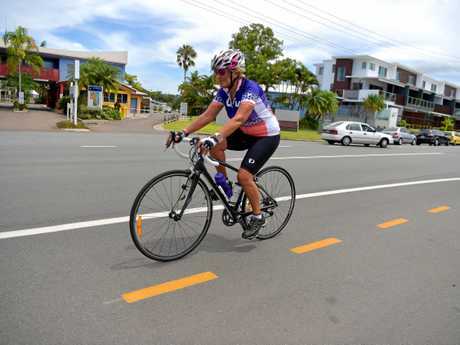 Such torments are just part of your daily life when you ride more than 10,000km on Sunshine Coast roads. The Maroochydore resident says she carefully obeys the law and road rules, but that earns limited respect - and safety - from motorists. Only last week she had her life flash before her eyes, inches away from being wiped out by a horse float she said was cutting a corner. 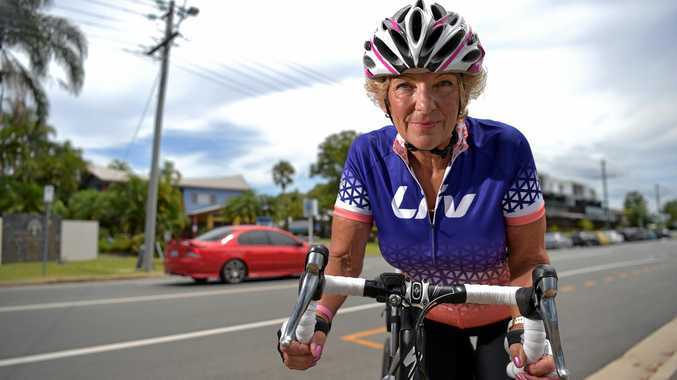 The 67-year-old estimated she rode 200km each week, leaving home at 6am riding across the Sunshine Coast - from Noosa to Caloundra, and up to Maleny. For the last 12 years she has learned all too well of the perils of being a cyclist. "My friends who I was riding with last week thought that was it," the grandmother of four said of her near miss. "They'd cut a corner and I felt the wind brush by me. The driver either didn't see me or didn't consider me. "Another friend of mine was riding around Mapleton and was yelled at badly by this woman. It really distressed her." Her worst moment happened long ago, when she was the victim of a hit and run in Brisbane, something she still finds difficult to to discuss. Closer to home, she was struck by the mirror of a passing car while her 11-year-old grandson was riding with her. She said every piece of abuse or near miss stayed with her. "Whenever it (abuse) happens your attention is taken off the road, and risk an accident," she said. "You can't help but look at them. Instincts take over. It is dangerous for us." 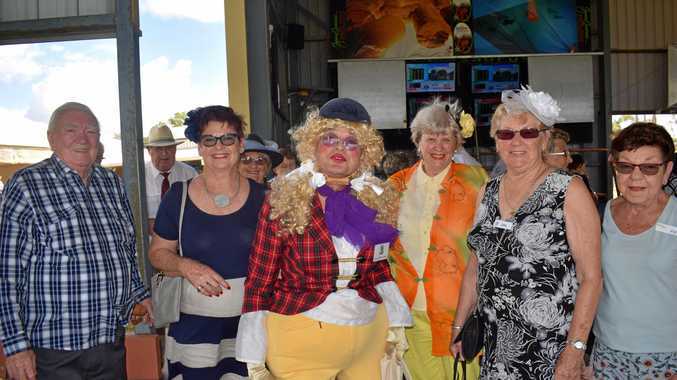 "The one metre rule has made a steady improvement, but the animosity remains," she said. People regularly told her they hate cyclists. 'Are you one of those bloody lycra-wearing road hogs?' they ask. "I've ridden in 14 other countries and it is nothing like here. Most places are far more patient and have a completely different attitude."